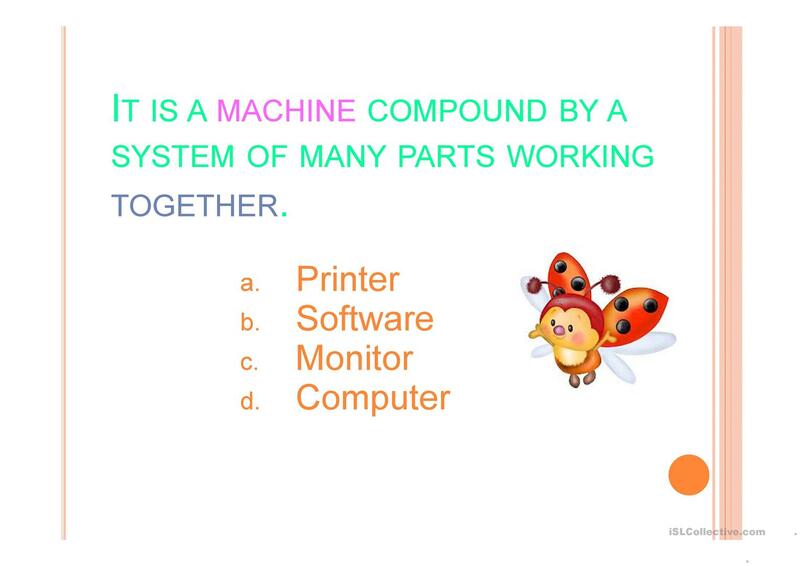 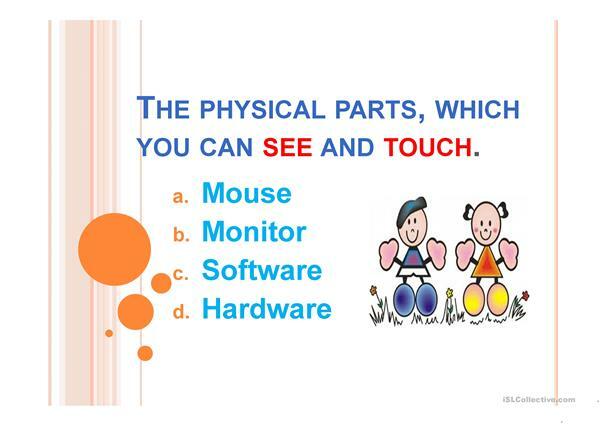 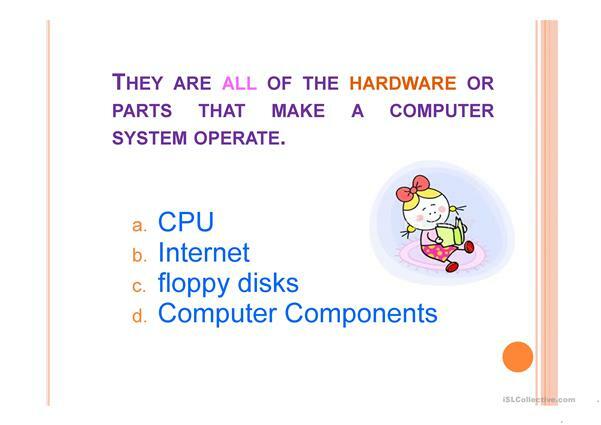 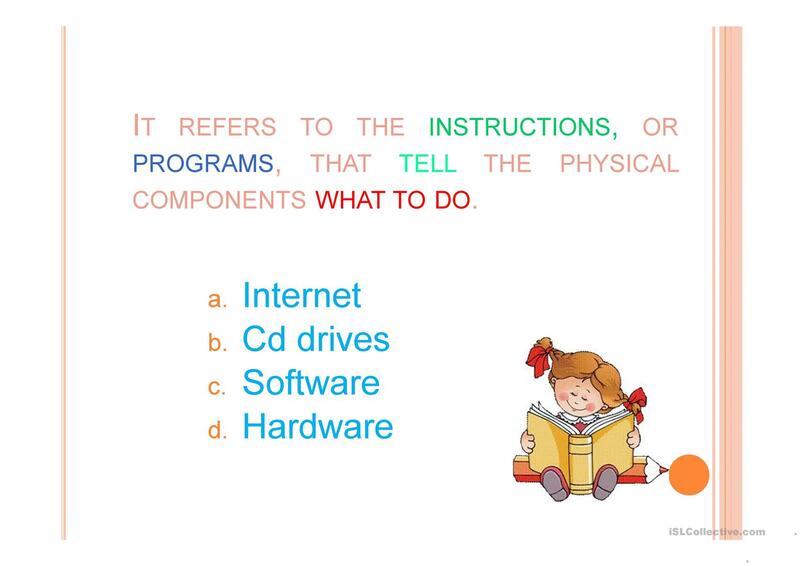 This is a short presentation about computer components fucntions to esl students and for teachers who want to review some specific vocabulary. I is also a useful tool get students´ attention in the class. The above downloadable worksheet was created for high school students and elementary school students at Beginner (pre-A1) and Elementary (A1) level. 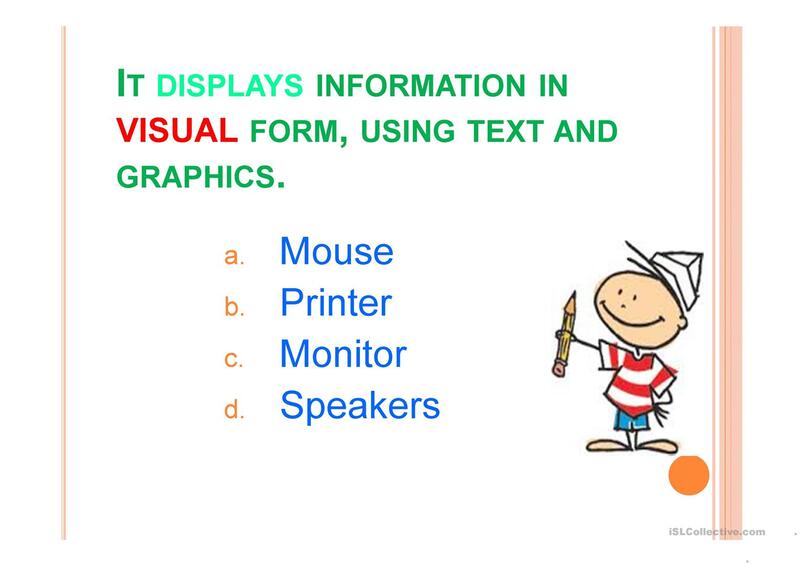 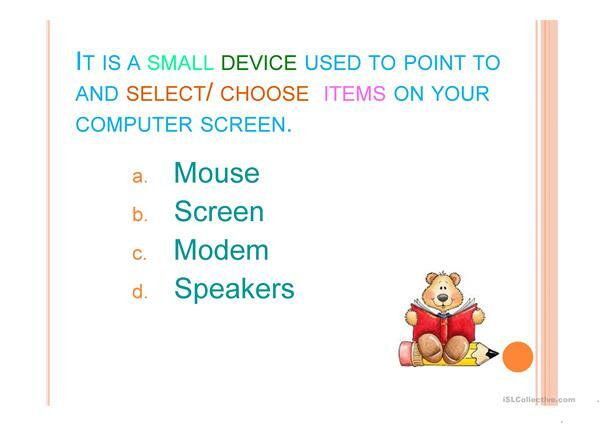 It is excellent for improving your class' Listening, Speaking and Reading skills. 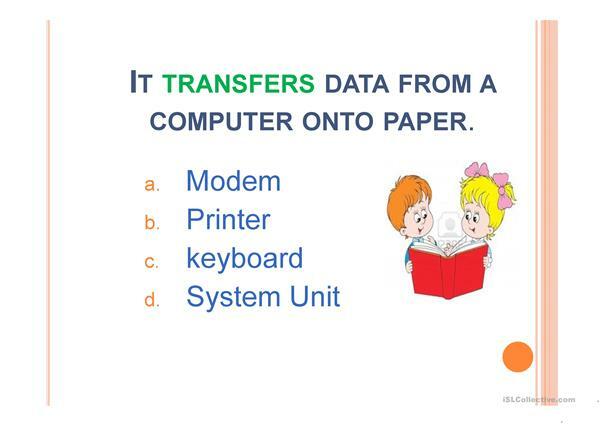 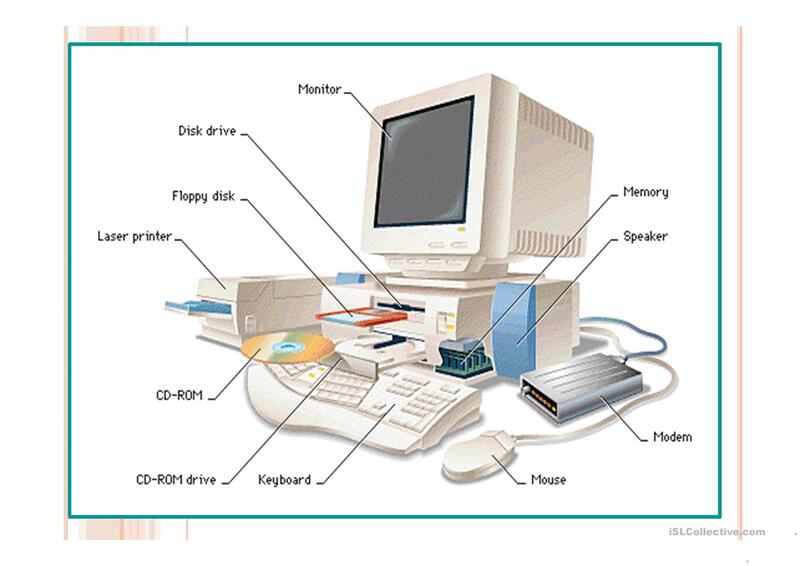 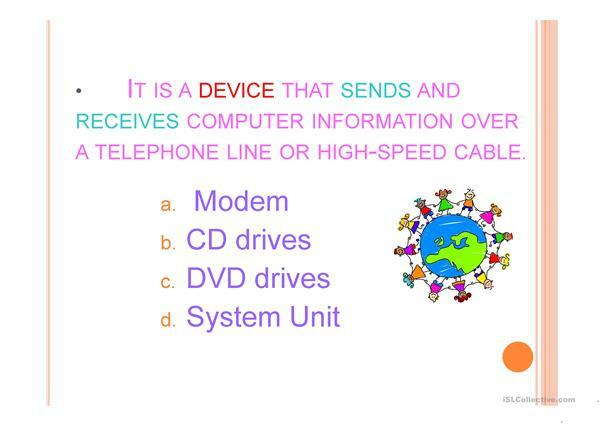 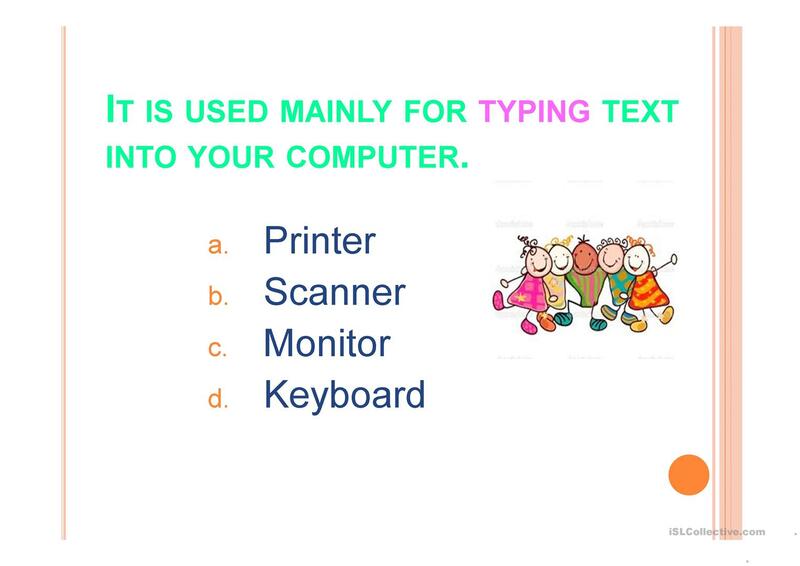 It focuses on the topic and words of Computers & Technology.